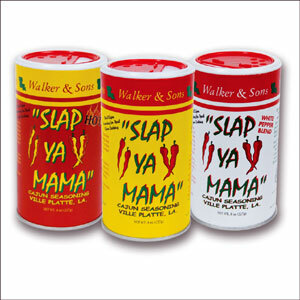 Slap Ya Mama Cajun Seasoning. 8oz. shaker. Available in ORIGINAL, HOT and WHITE PEPPER (please select blend above). 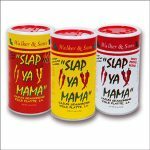 Slap Ya Mama Seasonings have a unique blend of spices that will make your cooking explode with Cajun flavor. 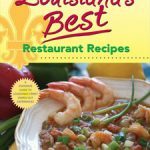 They are sure to enhance any dish, from popcorn to seafood, breakfast to late night snakes, gourmet foods to french fries. Remember, if you can eat it you can “slap” it! 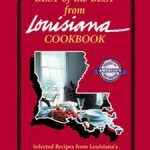 The “Hot Blend” is sure to set your mouth on fire, but at the same time it will add that unique Cajun flavor to any dish. The “White Pepper Blend” is an excellent Cajun blend for those who can’t or don’t want to consume black pepper. It’s a little spicier than the original blend and provides a unique taste because of the use of the white pepper.